Located five minutes from the Stanley Marketplace, the Haykin Family Cider Tasting Room is the perfect spot for drinks before or after a night out. 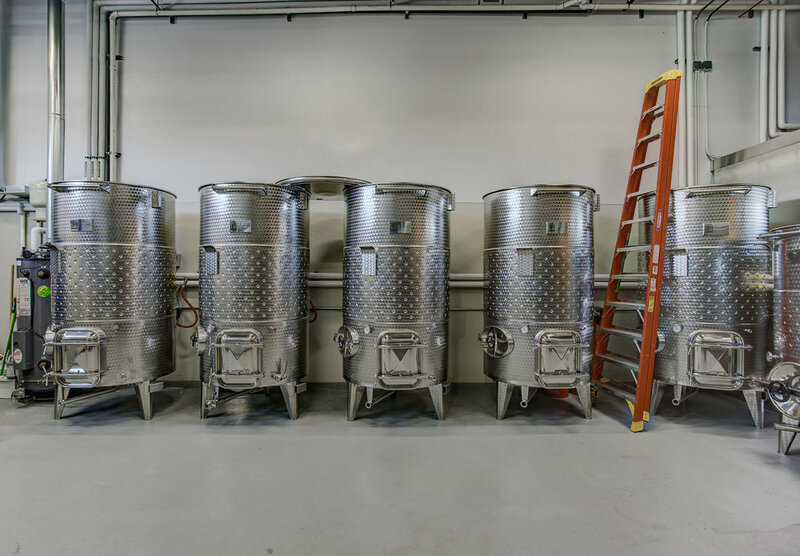 Haykin Family Cider opened in February 2018 and is located conveniently near Stapleton, Fitzsimmons, and the new Stanley Marketplace. In addition to glasses and flights, the Tasting Room offers retail bottles and quite often, chats with the cider maker. Haykin Family Cider is an award-winning small batch cidery run by husband and wife, Daniel and Talia Haykin. With tiny bubbles, they produce a sparkling wine-like cider in a variety of sweetness levels. Elevating the apple like wineries treat grapes, Haykin Family Cider highlights the flavor and complexity of interesting and unique apples. With a higher carbonation than typical ciders on the market and no adjuncts (sugar, flavorings, or other additives), our ciders have been likened to sparkling wines. The process is similar to white wine making and the results are extraordinary! We respect the apple and it’s inherent flavors, acidity, and sugars while letting it’s hidden attributes bloom with the help of yeast. The majority of our ciders are single varietals (being made mainly from one apple variety) with a few cuvees or blends showing up on our menu from time to time. All of our ciders are certified kosher with the Scroll K hecksher. While the signs might throw you off, the whole parking lot is available for our guests during open hours. Interested in scheduling a private tasting or event? These menus are samples and may not be fully up-to-date. Our ciders are often made in very small batches and thus our selection available for sale is ever evolving. We cannot ship to all states but we can ship to most. The ciders available for shipping are only in the 750ml size. Our bottle boxes come in 2, 4, 6, and 12 bottle sizes. If you choose to order an odd number of bottles outside of these, at this time, you will incur a packaging cost. Unfortunately that is the case with our current shipping materials supplier. Sign up to receive news and updates about our cider.